If there's one thing that could be said about Nevada, it is a mountainous state! Even a visit to Las Vegas can't shroud the looming desert peaks that surround the fabulous city. I love Las Vegas as much as anyone but what has always drawn me to the Silver State are is many mountains. I've been traveling up and down Nevada since essentially I became an adult. 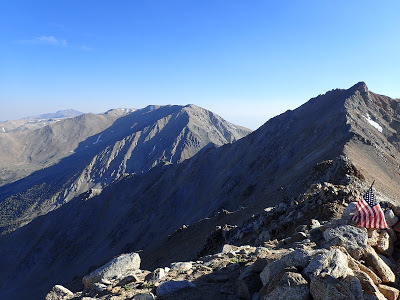 I celebrated my 22nd birthday in Great Basin National Park and returned the next winter to summit Wheeler Peak- Nevada's tallest summit wholly within the state. 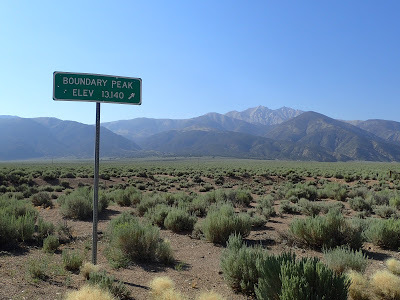 Boundary Peak is technically Nevada's highest point although it should be said that this "peak" is more of an arm of a higher summit in California. Of course, the summit itself is glorious in its own right. For me, this was high point #38 and a fantastic adventure. 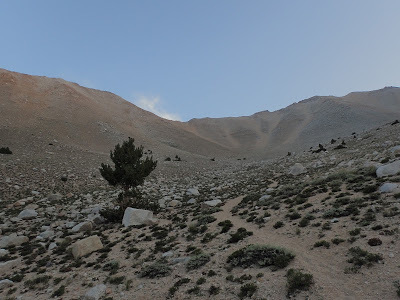 Part of the difficulty of ascending Boundary Peak is that it is quite isolated from nearly any major center of population. Reno and Las Vegas are almost exactly equidistant by driving. Cities in Calfiornia are more like 8 hours away. The road to the parking area can be passable by a skilled w-wheel driver but I was happy to have my all-wheel drive. 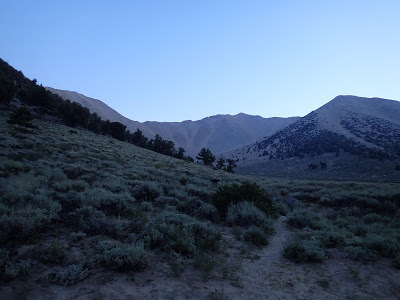 The road is not rough by Nevada standards but might be a bit intimidating if you're not used to it. Here are excellent directions to the trailhead. The parking area is well marked and has a map. As most of the trail is in wilderness, there are no other signs to mark the way for the entire trip. Having a topographic map and compass is essential. As you can see from the map, there are two fairly established routes. Both could be best described as herd paths- easy to find in the daylight but ambiguous in some sections. I preferred the more straightforward ascent of the obvious Northeast-facing bowl. 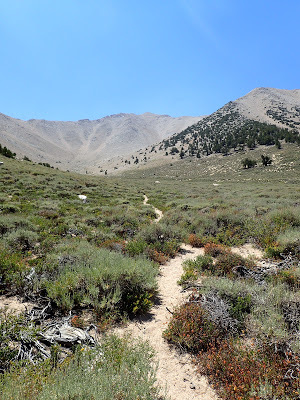 I never actually found the turn off herd path for the route up to Trail Creek Saddle. Instead I charged up the bowl to the Arête of the summit. As it turns out, it wasn't too bad of a trail. 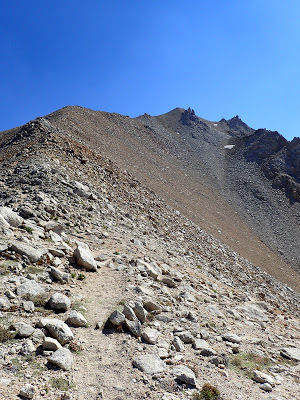 In the way of scree-scrambles, it was neither too miserable nor hard to follow. If you're not used to scree, be prepared for slow going. Eventually I made it to the summit and wow, was it ever worth the struggle! I could see for perhaps 50-75 miles. The Eastern Sierras were still glistening with snow, even in August. 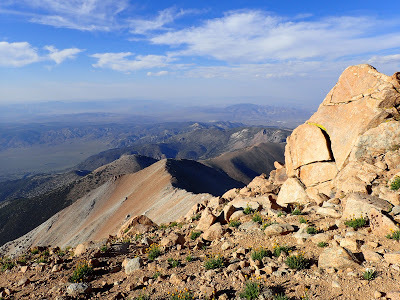 Miles below was the vast Owens Valley as well as the nameless valleys of the Great Basin and Range. It had been at least 4 years since I last breathed air this thin but I was so thankful to be back. 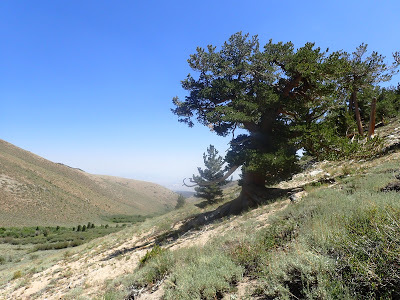 I ran into a botanist at the summit who was the only person I saw the entire day. 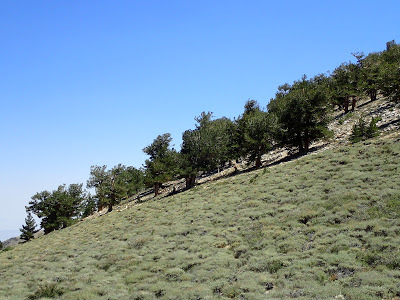 He was also a peakbagger and he illuminated the already fascinating science behind high alpine desert forests. I was thankful. What a great summit- fine in its own right, even if I was there because of it's highpoint status. 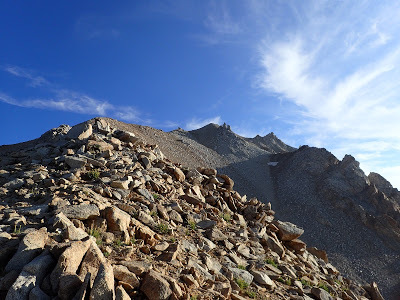 I would have liked to have bagged Montgomery Peak while I was there but that would have been another 2-3 hour scramble even though it is less than a half a mile from Boundary Peak. Of course, the summits of Mt Dubious and White Mountain Peak are others I intend to visit in the future as I further explore the area.